Wayne, along with his fellow named partners, started the firm of Goode Casseb Jones Riklin Choate & Watson, P.C. in 1991, and has been its President since the firm’s inception. Wayne serves as outside general counsel to corporate clients and their affiliated companies and has represented clients in commercial real estate development projects, business entity formation, mergers, acquisitions and reorganizations and related financing. He is experienced in real estate matters, including complex commercial transactions, real estate finance, business entities, oil and gas, health law and general business law. Wayne has been certified in Commercial Real Estate Law by the Texas Board of Legal Specialization since 1989. Wayne began his legal career in private practice with the Law Offices of Homer E. Dean, Jr. in 1977, as a general civil practitioner. 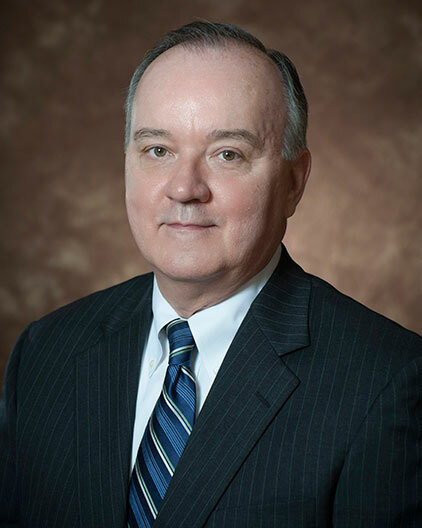 From 1979-1985, Wayne was in-house counsel for the Federal Land Bank of Texas (now known as Capital Farm Credit), specializing in agricultural lending throughout the State of Texas, and served as its Assistant General Counsel from 1981 until 1985. In 1985, Wayne joined the firm of Sawtelle Goode Davidson & Troilo, P.C. in San Antonio, and served as the Chairman of that firm’s Business Section. Wayne co-authored “Bankruptcy Considerations for Real Estate Documents” and presented the article at the State Bar of Texas Advanced Real Estate Seminar in 1987. Wayne provides legal counsel and support to large and small business clients. He has assisted clients in real estate purchases, sales, developments, financing and leasing. He has counseled clients on business entity formation, has structured private placement investment offerings and has represented clients in multi-state acquisitions, mergers and dispositions. Wayne’s representation of municipalities has included several major economic development projects and other civic matters. He has also assisted financial institutions and other clients in work-outs and debt restructurings.